What do you do after you sell your startup to a big company? Travelling the world is often high on the list of successful founders, but Bowei Gai — who started CardMunch and sold it to LinkedIn — is combining that with his passion for startups, after launching World Startup Wiki. The ambitious project aims to build an interactive guide to launching a startup in every country on the planet, giving founders and budding entrepreneurs data and insight to start up in or expand to any market. The site launched to the public this week but remains very much in its infancy. Initially Gai and his team have focused on The Philippines, where they have been based for the past few months. The Philippines guide includes over 7,000 words, more than 1,000 data points and numerous graphs, charts and maps — Gai says it is a blueprint for what he hopes the project can produce in each country. With the first step now completed, he is turning things over to the global startup community, who are invited to provide data and insight to help flesh out reports for other countries. The World Startup Wiki team has populated country reports with some data and continues to work on the project, but it is relying on the local community in each country to ‘run with the ball’ and build out useful resources. As explained in the tutorial video below, the report is designed to provide transparency and information to help founders, entrepreneurs and others in businesses gain a greater understanding of the markets, trends and communities around them. For example, data related to funding can be extracted to show which investors are putting money into which kind of startups, how much are they investing, and more — insights that would help founders seeking funding or those evaluating offers. As someone who regularly seeks (but most often doesn’t find) startup-specific data on Asia and other emerging markets, the report is a much-welcomed initiative. 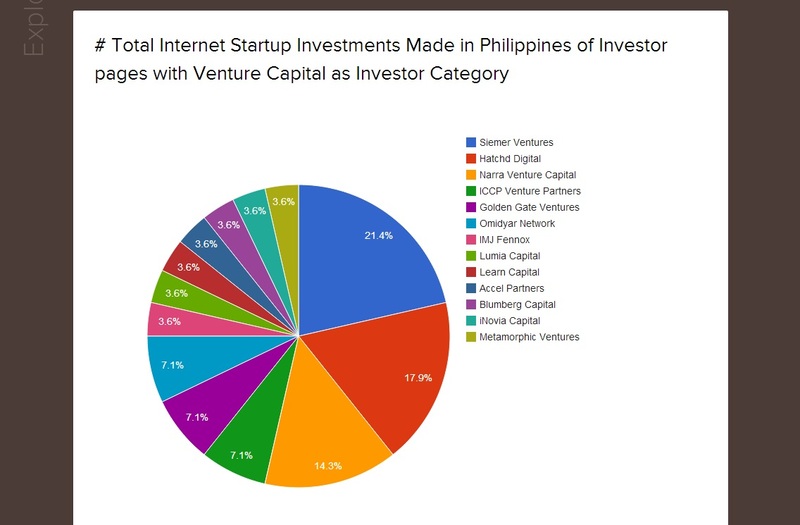 There is already a veritable wealth of data for The Philippines, and it would be quite something to see that replicated in other countries, particularly since Western entrepreneurs are more eager than ever to stretch their wings and explore overseas opportunities. Gai had a busy time in 2013. As part of promoting and researching for the report, he travelled to 36 cities across 29 different countries, meeting more than 6,000 startup enthusiasts in the process. More than anything else, he says that the wiki is about enabling a new generation of founders. Those who are interested in contributing to the report can visit the global index, from where they can check out specific country pages and follow the instructions to provide data and insight.